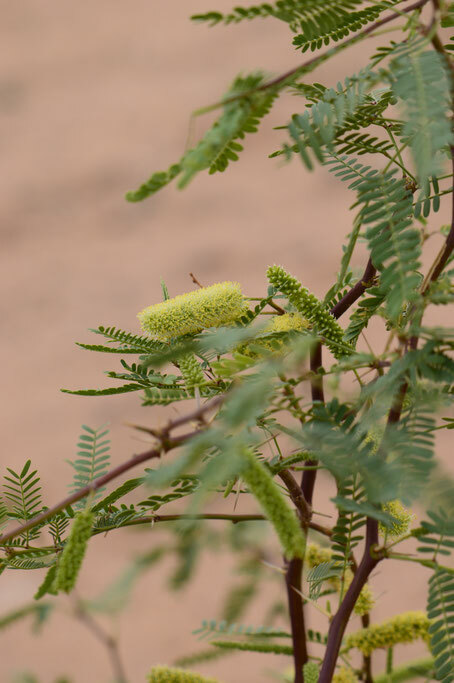 In the back yard there is a young Mesquite tree (Prosopis velutina). It sprouted as a volunteer a couple of years ago. It is in a very good spot for a tree; and though I water it reprehensibly seldom, it has grown tall enough to be just visible from the house. This year is the first time I have seen it bloom. Of course, one has to walk right up to it to see the flowers. 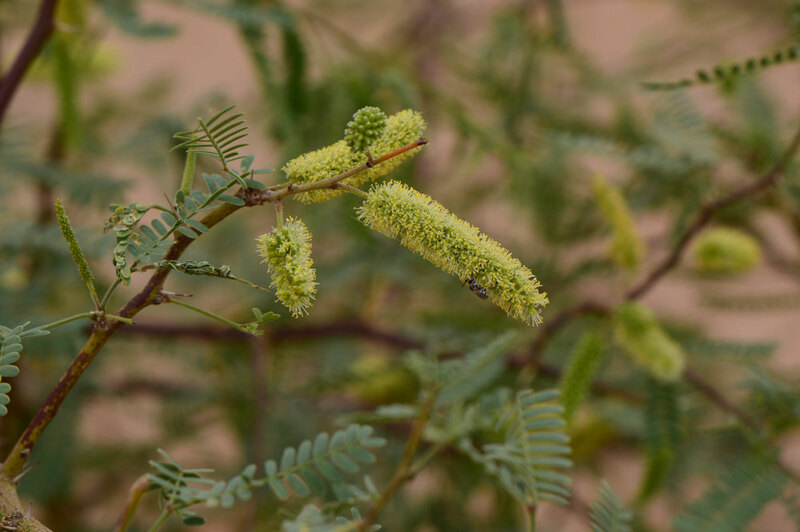 The inflorescences are large, but their soft yellow-green colors keep them hidden among the leaves. The spineless Opuntia I had planted beside it did not survive last summer, which says much for the hardiness of the Mesquite. I am trying to keep an eye on it, as it will be so nice to have a tree in an otherwise entirely bare part of the property. Hopefully, with proper care it will grow into a canopy of shade. It's a pretty thing, Amy, and I've great respect for any plant that can manage with minimal supplemental water. I totally agree, Kris! 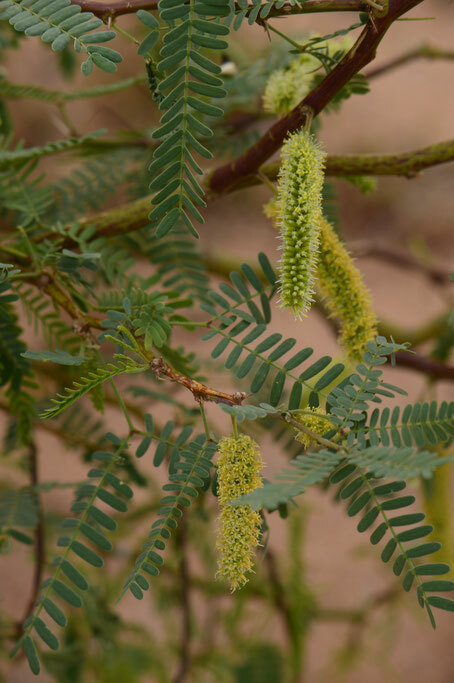 The Mesquites and Palo Verdes are the two 'trees' that really grow wild around here, down in the washes usually, so they get what little moisture there is. But they are tough plants for hot, dry conditions! It’s wonderful to have a strong hardy tree to fill a corner and not need too much attention. The catkins are quite pretty.